Hostel Estacion Mendoza offer you Tours and excursions selling : rafting, parapente, canopy, horseback riding and more. Security: There is a Lokers for each bed to store your stuff. Services included: breakfast, heating, air conditioning, TV, pc with internet. for passengers wi-fi, Lokers tourist information, fully equipped kitchen, pool, barbecue. We library with book exchange table games medical insurance and sales of drinks that you can enjoy our garden with swimming pool or out of tv . 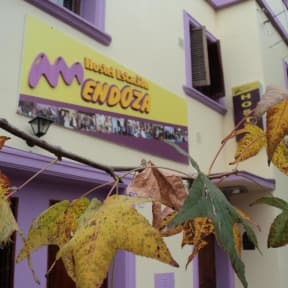 Hostel Estacion Mendoza is located in the heart of Mendoza , is six blocks from the bus terminal , 3 blocks from the kilometer 0 of the city and just fifteen minutes from the airport. Private rooms with, wi-fi, heating, air conditioning.